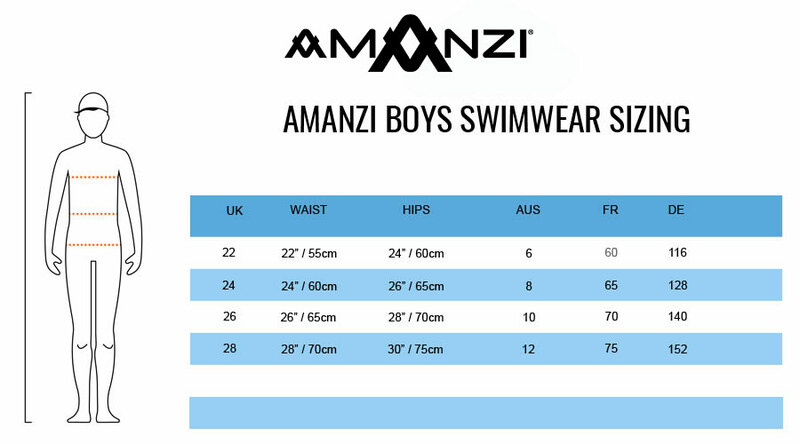 The bright blue Death Star Boys Jammers from AMANZI are sure to turn heads at the pool with their loud print subtly featuring skulls and stars. Their highly durable "ARMOR" material means they can withstand the regular exposure to chlorine without losing their shape or their colour. The Elasticated waist and the hidden drawstring ensure the most comfortable fit possible.